Legendary Sound Blaster quality, value and performance. The Sound Blaster Audigy SE is an excellent value upgrade to 7.1 surround sound on the PC. Featuring high quality audio specifications including 24-bit/96kHz recording and playback with 100dB signal to noise ratio and digital output, it’s the ideal partner for surround music and movie playback. For realistic gaming, EAXADVANCED HD 3.0 support delivers acoustic effects and detailed 7.1 3D surround sound in gaming. The included Creative Media Source software is a comprehensive tool for creating MP3s, managing a music collection, adding effects and burning custom CD compilations. Equalizer1 and Audio Cleanup will enhance your music experience greatly. Enjoy captivating 7.1 multi-channel surround sound with CMSS 3D1. CMSS 3D1 works with any software DVD player supporting Dolby Digital EX or DTS ES decoding for a cinematic movie experience. 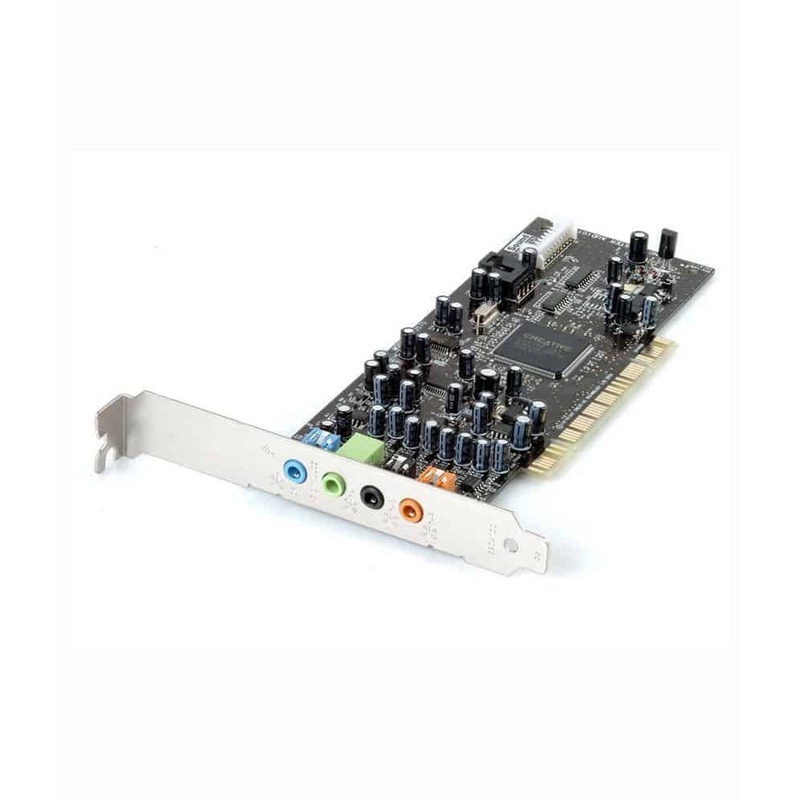 Only Sound Blaster Audigy series of sound cards support EAX ADVANCED HD2 to reproduce the acoustic characteristics of gaming environments to give you that winning edge. Sound Blaster Audigy Value accurately delivers 3D Positional Audio in DirectSound 3D1 games in 7.1 so you know the exact location of your enemy. 1 Supported in Windows XP only. 2 Supported in Windows Vista™ via OpenAL. 3 6.1 Supported in Windows XP only. 1 SPDIF pass through is supported on Windows XP and Vista 32-bit only. Note : Other applications, especially games, may have higher system requirements. Refer to the applications’ documentation for details.